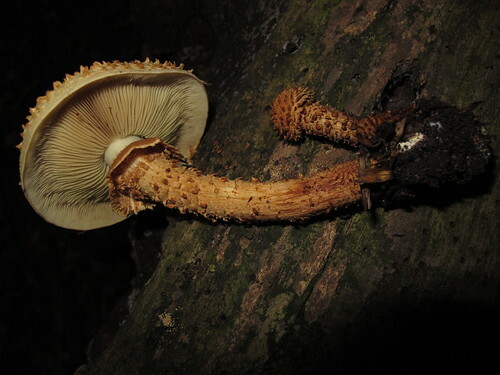 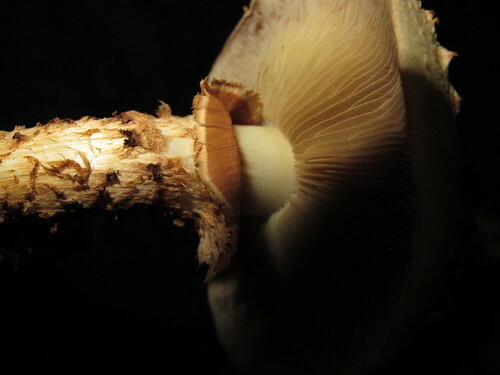 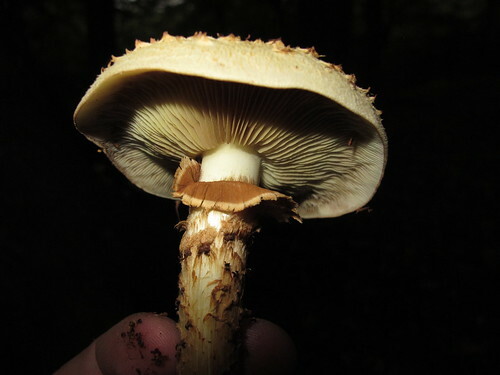 Caps are between 4 to 12cm in diameter; yellow-ochre or straw-yellow; the uppper surface is covered in upturned triangular brown scales in more or less concentric rings.The groups can be distinguished easily by spore print: Armillaria species produce white spore prints while all Pholiota fungi have brown spores. 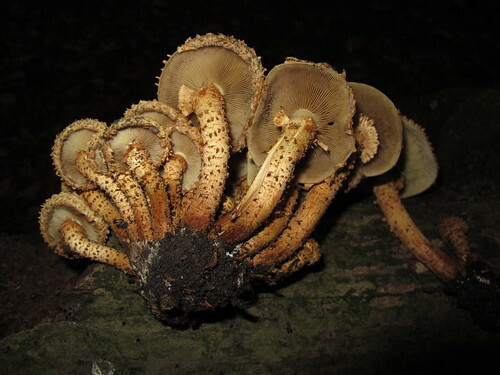 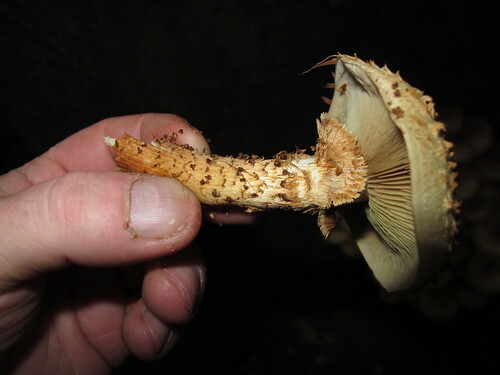 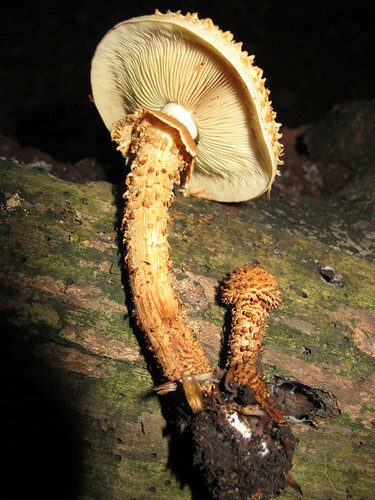 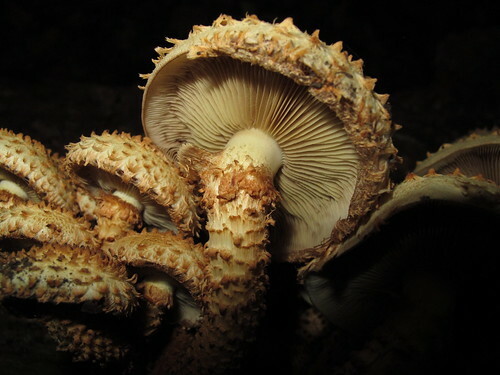 Shaggy Scalycap gills crowded adnate are pale greyish yellow at initially , turning cinnamon as the spores mature. 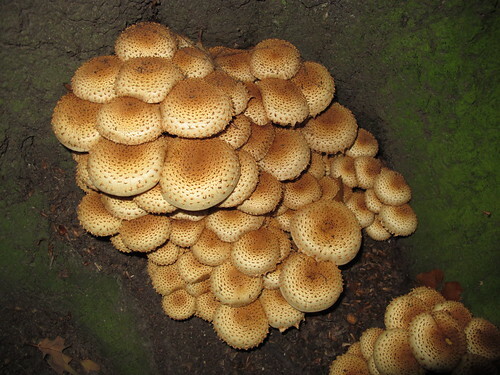 Found at tree bases and old stumpd mainly broadleaf species but occasionally conifers, notably spruces.